In earlier days, the girls were married off at a much younger age [Kannu Hoottadha Henga] but with the firm understanding that they [the girls] could seek divorce at any time if there was matrimonial disharmony and that they would be accepted back into the society without any blame and reservation. Getting married again was no big issue. She, always, had the backing of her parents and her brothers as ‘guru mane’ gave unflinching support in all respects mainly financial. This was probably the main reason that the girl children were not given any share in the property. 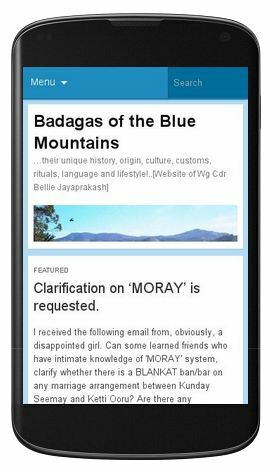 I have recently visited your website, Badagas Of the Blue Mountain. Thank you for all the information you share with us. My heartily congratulation for your excellent work. Keep it up. As a Badaga, it is really great to see your work. More over, I would like to introduce a person to your website, whose name is Mr Kallan Sevena Gowder of Horasholai Village, who is a familiar figure in CTN TV in recent days. 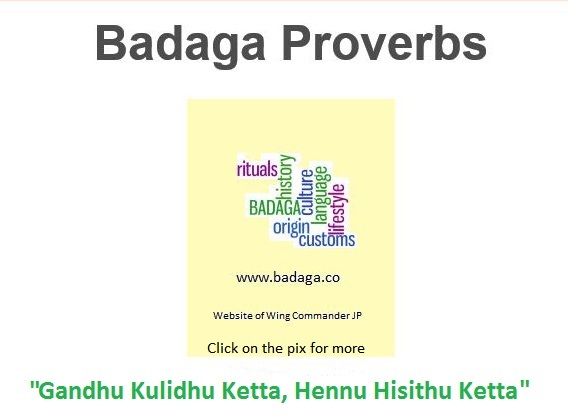 He has some unique information about Badaga Kolas (especially useful for marriage proposals).